Most of the local towns have a weekly market day, usually in or near the local piazza. These provide a wonderful opportunity to experience some local colour and obtain a “feel” for the area. 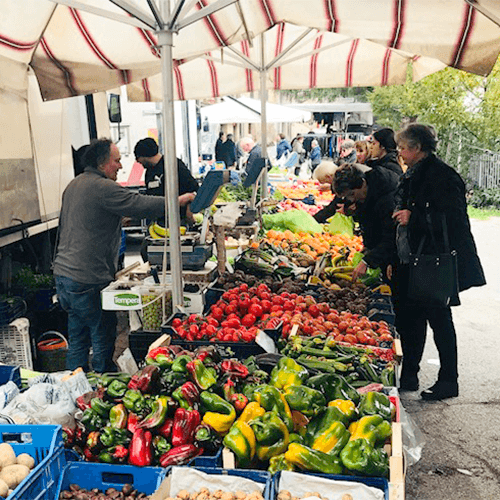 The markets include food of most types (glorious displays of every variety of salumi and cheeses, vivid piles of colourful freshly harvested fruit and vegetables, fragrant flowers and plants) and shoes, clothing, leather goods, linens, toys, household items etc. Enjoy an excellent coffee (at ridiculously cheap prices!) at one of the local bars with the friendly locals and then stock up according to your needs.